I find happiness working on my projects with my MacBook Pro at coffee shops where I can produce so much work compared to being alone at home. 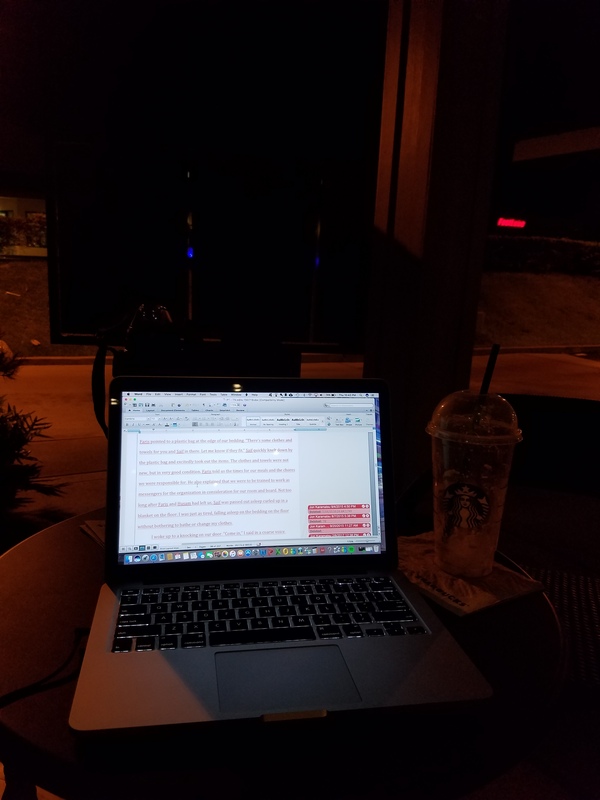 Here I am writing my second novel at Starbucks in Waipio, Oahu, Hawaii on the late evening of October 12, 2017. I finished 66,532 words for my historical, suspense, and romance story based in Iraq during the U.S. occupation. My goal is to write 80,000 words for this novel. My MacBook Pro is my partner and friend. Feeling so much gratitude for the simple joys of life! Coffee shops and my Macbook Pro makes work fun! Coffee shops and my Macbook Pro makes work fun! Did some work at Starbucks in Ala Moana Hotel, Honolulu, Hawaii before my meeting with an engineer at Jodo Shu Hawaii on October 11, 2017.